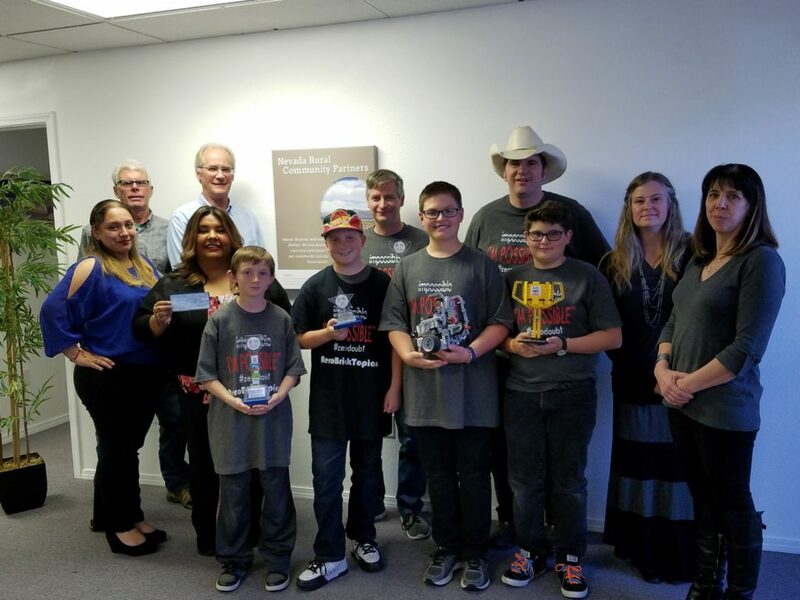 NRHA introduced the employee-operated, non-profit Nevada Rural Community Partners (NRCP) organization to assist local, low-income youth. NRCP was proposed and developed, and is now run and overseen by a six-member philanthropy committee made up entirely of volunteers from NRHA staff. This group was charged with creating a mission and vision statement; setting the organization’s guidelines, rules and regulations; reviewing applications; and determining where funds will be allocated. NRCP has developed a scholarship program aimed at providing students and their families the funds they need to participate in extracurricular activities. The scholarships are for youth-geared interests including sports, cheerleading, gymnastics, dance, boxing, karate, Boy Scouts of America and Girl Scouts of America, science camps and other outlets. Local youth whose household income is at or below set income limits are invited to apply for this scholarship. NRCP is an award-winning organization, which was named NonProfit of the Year by the Northern Nevada Development Authority as part of its 2017 Pioneer Awards program. Janet Thompson, NRCP chairwoman, was raised by a single mother who worked two jobs in order to support her children, and there was little extra money for extracurricular activities. This inspired Janet to do something to help the area’s youth who may be in the same situation. She knew from her past, that involvement in interest groups and with sports teams helps children develop skills essential to their future. “If I can help one kid be able to do the things I wasn’t able to growing up, then my time spent is well worth it,” she says. The rest of the six-person committee is comprised of others who have also experienced financial hardship in some way. Through the NRCP organization, youth who live in poverty are afforded an opportunity to experience extracurricular activities without the cost barrier that often hinders them. By participating, they are viewed as equal among their peers as they hone skills that will benefit them for life. Support for the NRCP organization is provided by employee-run car shows and other community events. This gives, even more, visibility to the youth audience who benefit from participating in extracurricular activities. 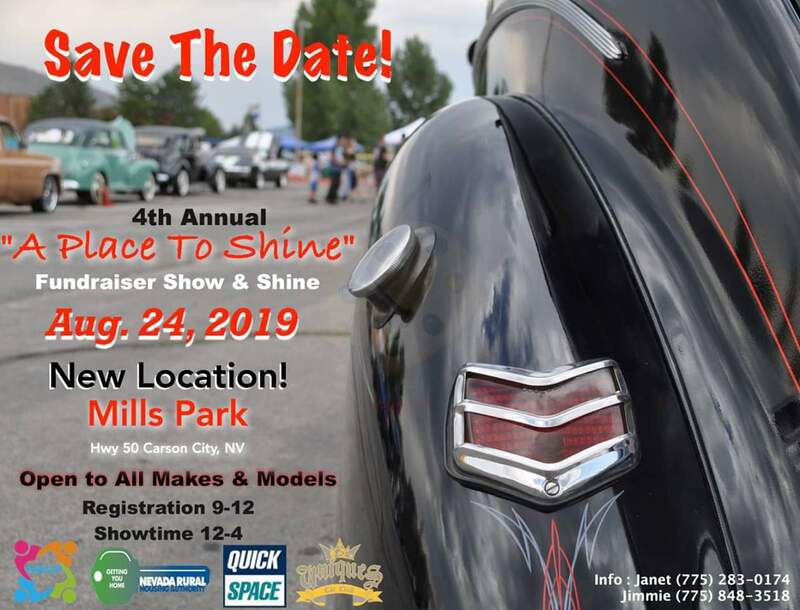 Annually, NRCP hosts the “A Place To Shine” Show and Shine car show in the summer — note our NEW location for the 2019 event at Mills Park in Carson City! The show features classic cars and hot rods as the main event, as well as activities for children, raffles, prizes, and food and craft vendors. 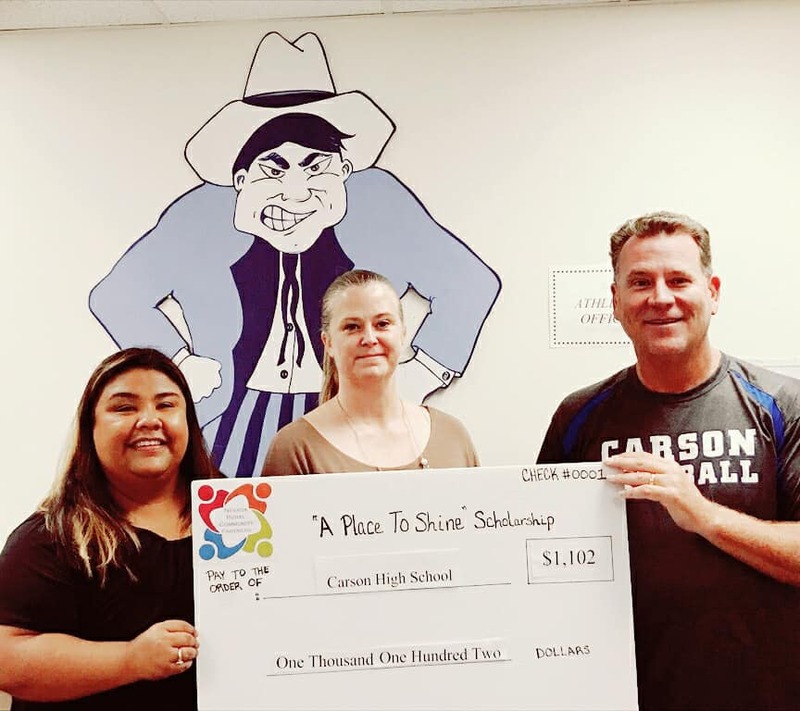 Proceeds from “A Place To Shine” help fund the Scholarship.